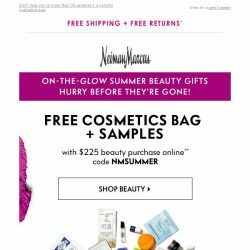 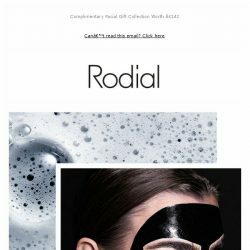 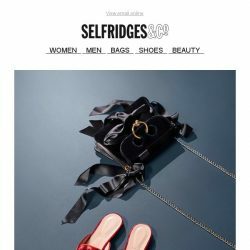 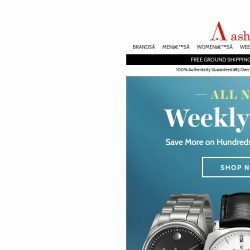 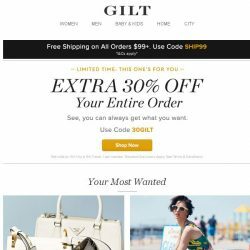 [Neiman Marcus] Ends soon: Free travel beauty gifts! 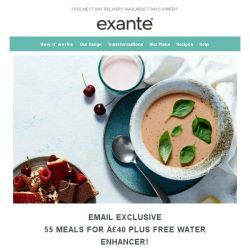 [Exante Diet] 55 Meals for £40 + FREE Water Enhancer! 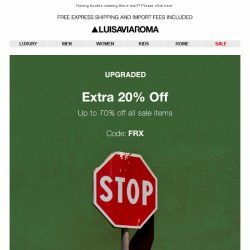 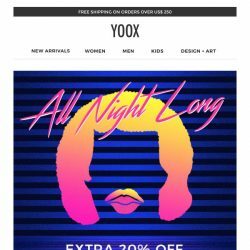 [LUISAVIAROMA] Extra 20% off. 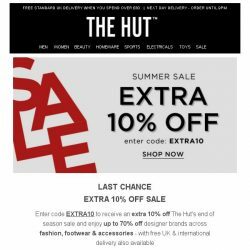 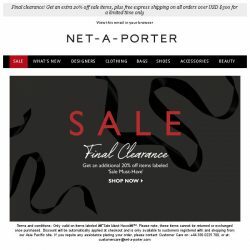 Up to 70% off just for you! 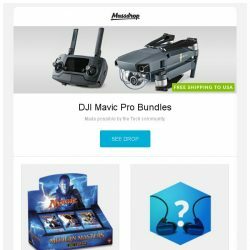 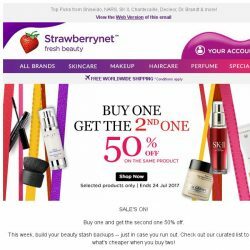 [StrawberryNet] , love #crazydeals? 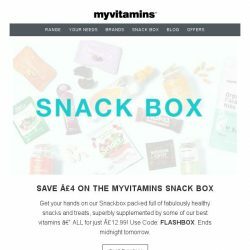 Pay Half Price for the 2nd one! 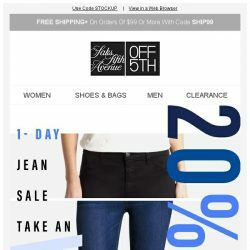 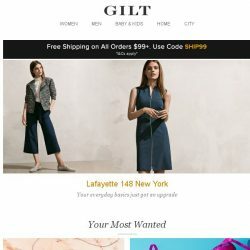 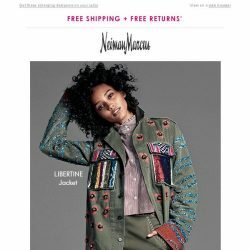 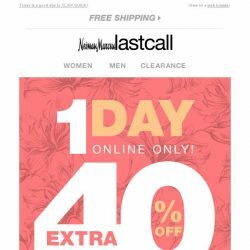 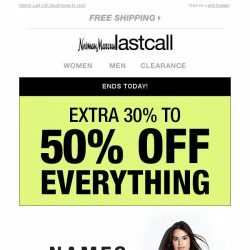 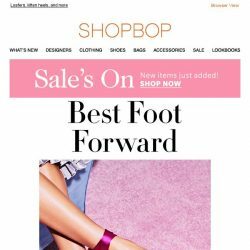 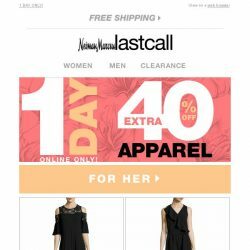 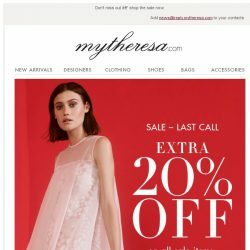 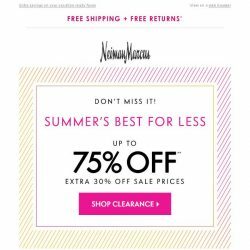 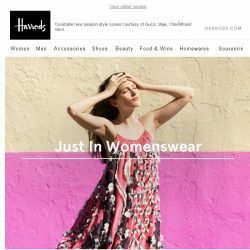 [Neiman Marcus] 75% off in Clearance is happening now!